1. What is a golf tee made of and what does it measure? A standard golf tee is 2.125″ (two and one eighth inches) long, but both longer and shorter tees are permitted and are preferred by some players. Conventional golf tees resemble extra short knitting nails with a small cup on the head on top of which the ball can rest for an easier shot. They are usually made of wood or plastic and are generally very inexpensive as a player may easily damage or break many of these tees during the course of a round. 2. When is it used ? Golf tees are generally used for the first stroke of each hole, and the area from which this first stroke is hit is informally also known as a tee (officially, teeing ground). Thus, for example the ninth hole of a course is played from the ninth tee to the ninth green, and similarly for the other holes. Normally, teeing the ball is only allowed on the first shot of a hole, called the tee shot, and illegal for any other shot. However, local or seasonal rules may allow or require teeing for other shots as well, e.g. under “winter rules” to protect the turf when it is unusually vulnerable. Teeing gives a considerable advantage for drive shots, so it is normally done whenever allowed. On short par 3 holes where the first shot is a chip, the tee shot may be played without a tee. 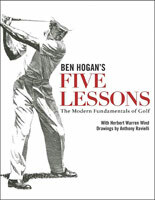 The development of the tee was the last major change to the rules of golf. Before this, to elevate the ball for a drive the golf ball was teed up on a little heap of sand that was provided in boxes. This explains the historical name tee boxes for what is today known as teeing ground. A popular alternative to lift the ball off the turf was the disposable tee cup, a ring of cardboard that was sold in perforated booklets; the golfer had to tear off one of these along the perforation and shape it by rolling it between the fingers. Celluloid tees and other wooden or rubber gadgets also existed to help form a sand tee. The first tee resembling today’s tees to be more widely known was the “Perfectum”, invented by Percy Ellis of Surrey, England in 1892. it consisted of a rubber-and-iron peg with a crown of rubber pins upon which the ball rested. A similar concept, the “Victor” tee, had a cup-shaped rubber head and metal spike base and was patented in 1897 by PM Matthews of Scotland. Many claim that the first golf tee to closely resemble the standard modern tee was the one invented by George F. Grant and patented by him in 1899. However there had been several previous patents for golf tees, some seeming to be quite modern in both form and function. These and other variations failed to catch on, as most golfers-whether because of tradition, habit, or concerns about the rules-continued using heaps of sand. It took a strong marketing effort by Dr. William Lowell, Sr. in the 1920s to bring manufactured tees into widespread use. The little tee, a simple wooden peg with a flared top, was manufactured and painted red (so it could easily find in the grass) and became known as the Reddy tee, which was a wordplay both on the fact that it was red and the suggestion that it was always at hand (‘ready’). Sales of Lowell’s “Reddy Tee,”, took off after Lowell hired professional golfers Walter Hagen and Joe Kirkwood, Sr. to promote the product during exhibition matches. It was copied around the world, and remains the most common type of golf tee. 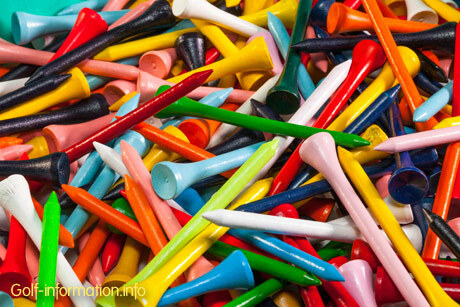 Despite many other designs and patents before and since then, most golf tees are still simple nail-like objects designed to be pressed into the ground, and many are still made of wood although plastic has become more and more common. The term is believed to be a backformation from the Old Scottish teaz (noun and verb) taken as a plural and tie (verb), but its further origin is unknown. The oldest mention of the word in its current form dates back to 1744 in Articles & Laws in Playing at Golf, but the earlier form Teaz appears as early as 1673 in the Wedderburn’s Vocabulary giving Latin equivalents for golfing terms, where Statutem (support or prop) is suggested as an equivalent for Teaz. Note that at that time, before the advent of the wooden tee, the word “tee” was used to refer to the cone or mound of sand that fullfilled the same function. In golf, a tee is normally used for the first stroke of each hole, and the area from which this first stroke is hit is informally also known as the teeing ground. Normally, teeing the ball is allowed only on the first shot of a hole, called the tee shot, and is illegal for any other shot; however, local or seasonal rules may allow or require teeing for other shots as well, e.g., under “winter rules” to protect the turf when it is unusually vulnerable. Teeing gives a considerable advantage for drive shots, so it is normally done whenever allowed. On short par 3 holes where the first shot is a chip, the tee shot may be played with or without a tee. Alternately, the rules allow for a mound of sand to be used for the same function, also only on the first shot. Before the invention of the wooden spike tee, using sand was the only accepted method of lifting the ball for the initial shot. This is rarely done in modern times, as a tee is easier to place, hit from, and recover, but some courses prohibit the use of tees either for traditional reasons, or because a swing that hits the tee will drive it into or rip it out of the ground, resulting in damage to the turf of the tee-box. Tees also create litter if discarded incorrectly when broken.